Once again, as what naturally happens annually, the most celebrated holiday of the year in the U.S. rolls around that Advent Calendar on that same date it has always landed on in the past: December 25th. To some, Christmas is not “Christmas” if specific, special traditions are not kept every year; however, others are open to more ideas for new traditions. In the middle school, plenty of students have a multitude of Christmas plans organized for this year. One middle schooler says that her Christmas plans will be “pretty chill. I’m just planning to relax at home until Christmas. And of course I’ll go holiday shopping and have basketball. So actually it’s not that chill.” Clearly, rest and relaxation don’t have to make Christmas break “fun” per se; many enjoy the bustling busy businesses that go on during the Christmas time of year. One student especially seems to have a quite involved Christmas situation: “We are hosting a ton of people on Christmas and after Christmas (some of them are staying in a hotel because we don’t have enough room in our house).” It appears that one large party has been planned. Others may also prefer quiet celebration over the fun chaos of little kids running around, large, boisterous dinners, and great aunt May bringing her famous angel food cake. One middle schooler commented, “I’m going to stay at home with close family.” There’s nothing like sitting by the fire on a hushed Christmas Eve night with family, and a cup of hot chocolate for that matter, singing Christmas carols, recounting past Christmases, and even roasting marshmallows. 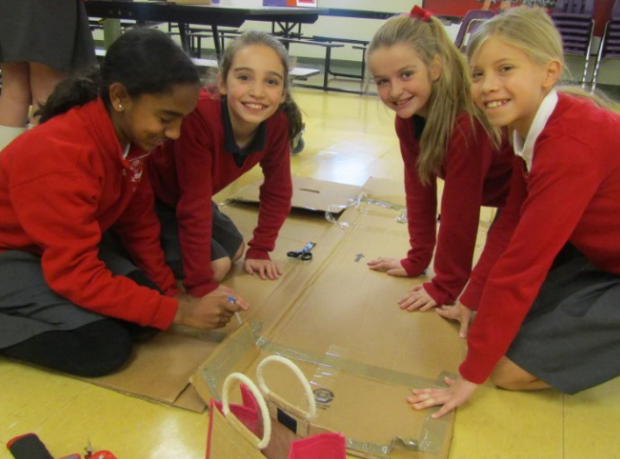 From large to small Christmases, students are sure to have a great time at Christmas this year. With great plans come great traditions. One enthusiastic eighth grader said: “A few of my traditions are to make Christmas cookies, go to Christmas Eve and Christmas Masses, and eat unlimited candy!” Naturally, all the candy, presents, and sweets help us get excited for the Christmas eason, but one must always remember that it’s the Christmas Masses that truly keep the “Christ” in Christmas. (Of course, unlimited candy doesn’t hurt, right?) Other foods keep alive the Christmas spirit, too. One middle schooler and her family eat an Italian-American dinner usually made for Christmas Eve. “We do the Seven Fishes on Christmas Eve.” Another student added: “Our Advent Wreath is big. We read from Isaiah, we light the wreath, all of us choose one carol, and then we eat cookies.” Most readings from Isaiah are usually found in Advent Masses. Much of Isaiah’s works prophesied the coming of the Messiah. Also, it’s so thrilling to finally light that last candle on the wreath, especially since the Sunday when the last will be lighted happens to fall on Christmas Eve. 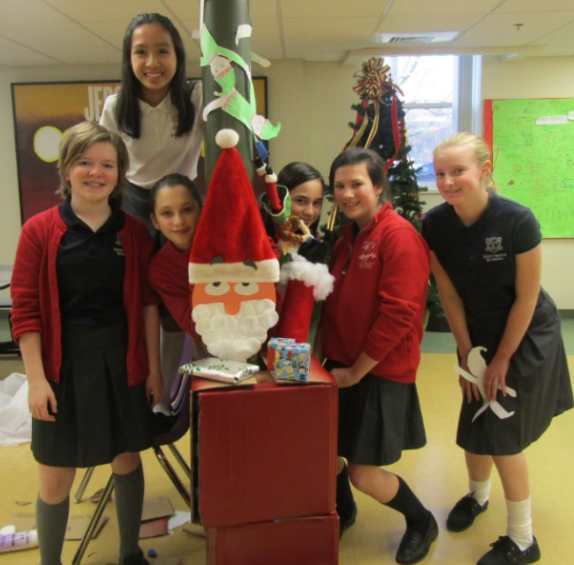 Seventh graders grin with pride beside their pole on decorating day, an annual Montrose Christmas tradition. Overall, Christmas to the middle schoolers is a time to come together, whether in loud, large reunions, or in quiet, quiescent groups. These plans certainly make for a great, fun filled, and anticipated Christmases with traditions of old and perhaps a couple new ones that may become new, avant-garde experiences then to treasure for years, and Christmases, to come.